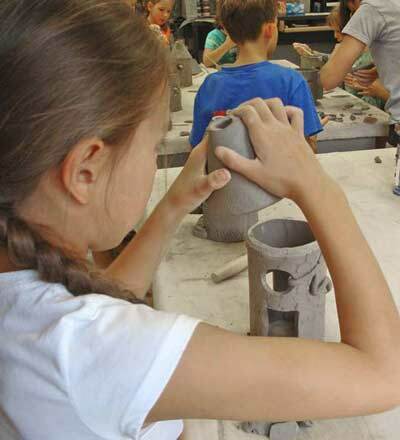 Clay Party Packages for ALL ages! Allow 1 hour of instruction and potter time for children's parties. Large Clay Project (Adults) - $30 per potter This class would take up to 2 hours of instruction and work time. All classes include clay, instruction and firing. Hand building with clay is one of the memories you'll never forget! Add a little Clay to the mix! An extra party fee of $30 will be added to total of any (pottery or clay ) party package price. A party consist of 5 or more participants and has to total up to $100 dollars or more in order for it to be booked.